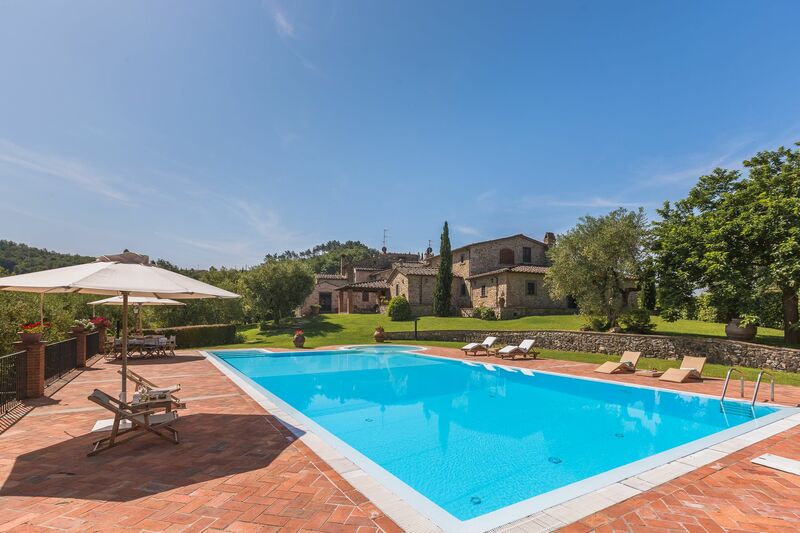 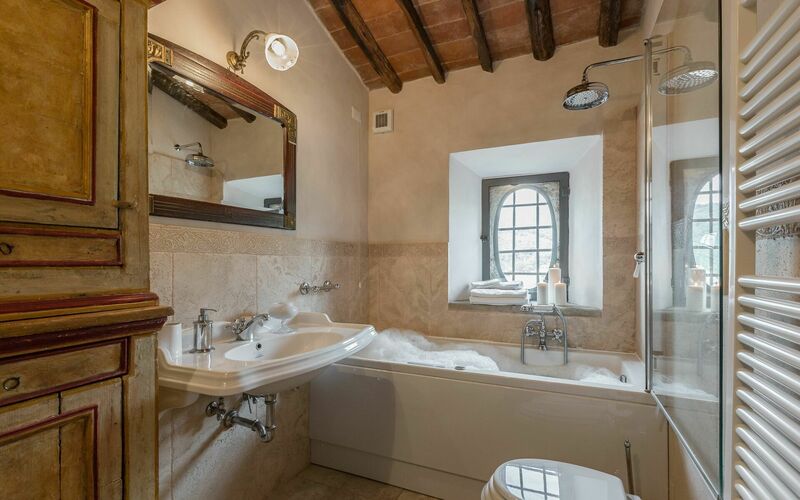 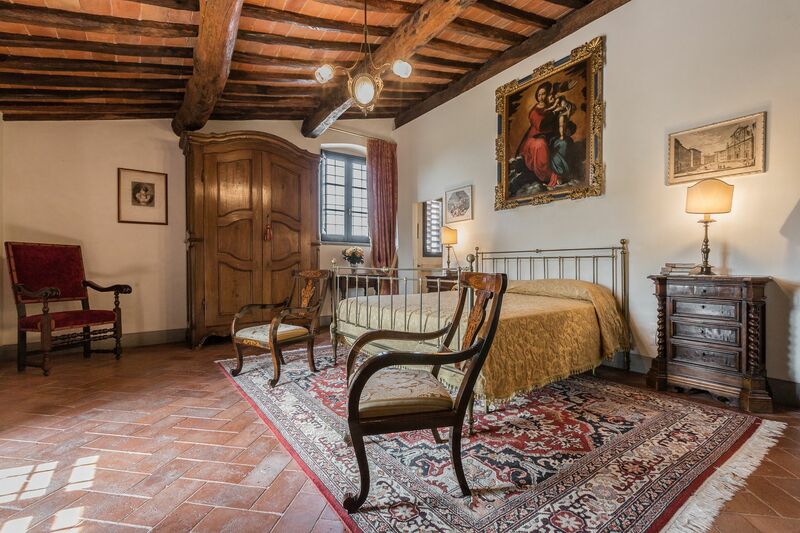 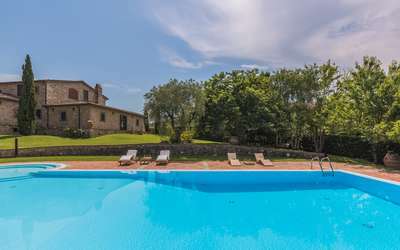 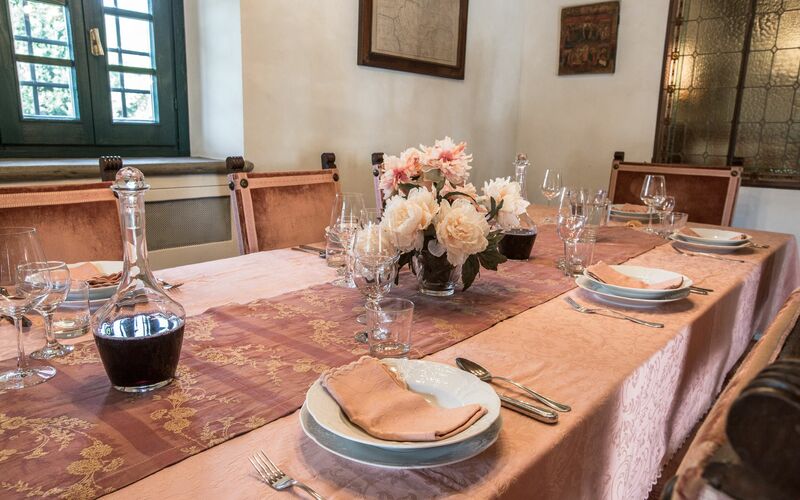 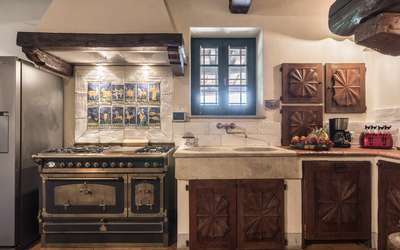 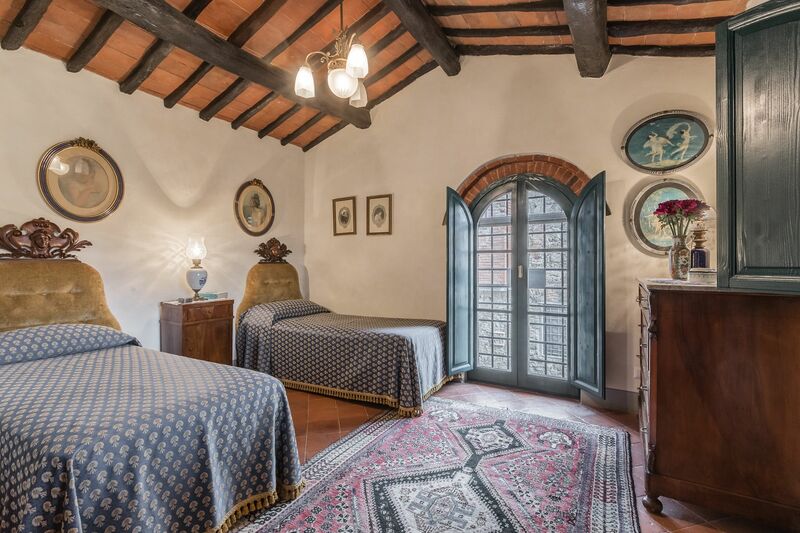 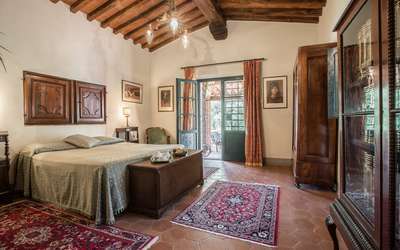 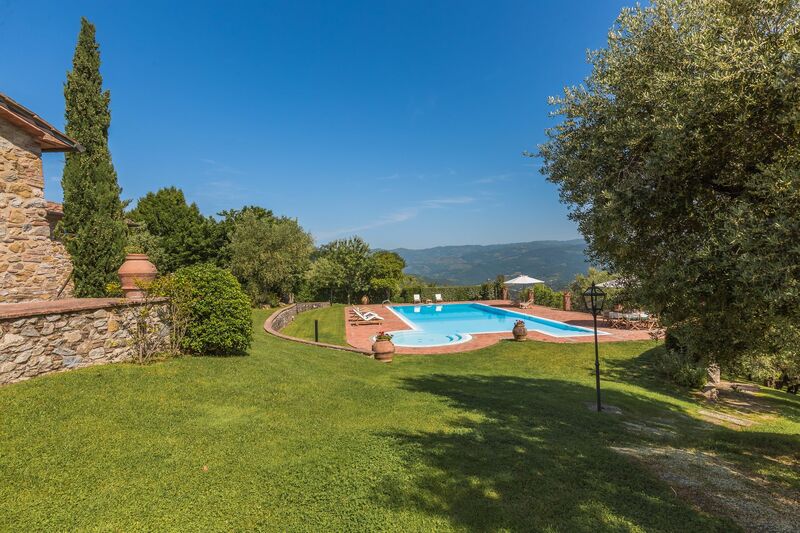 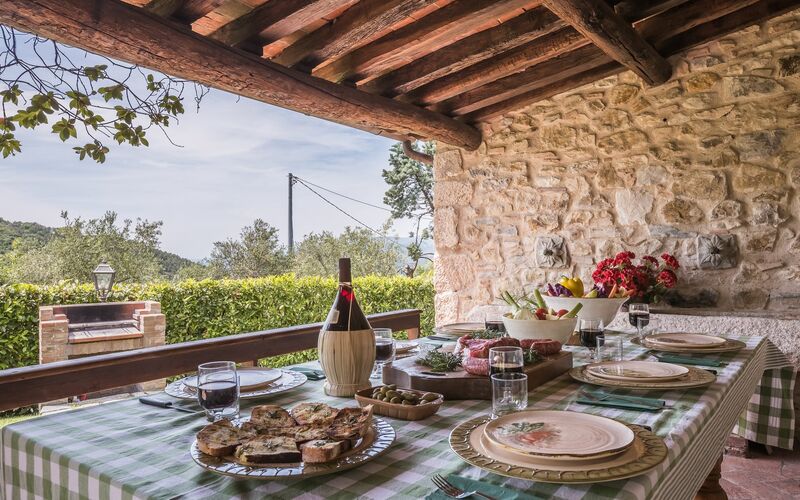 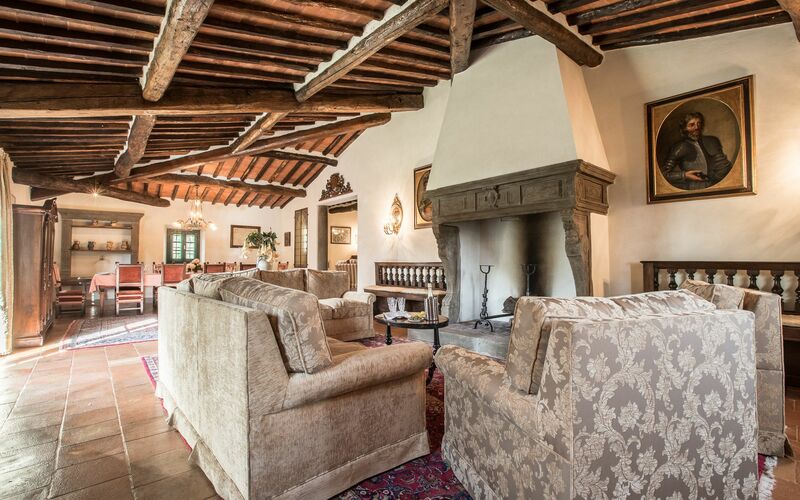 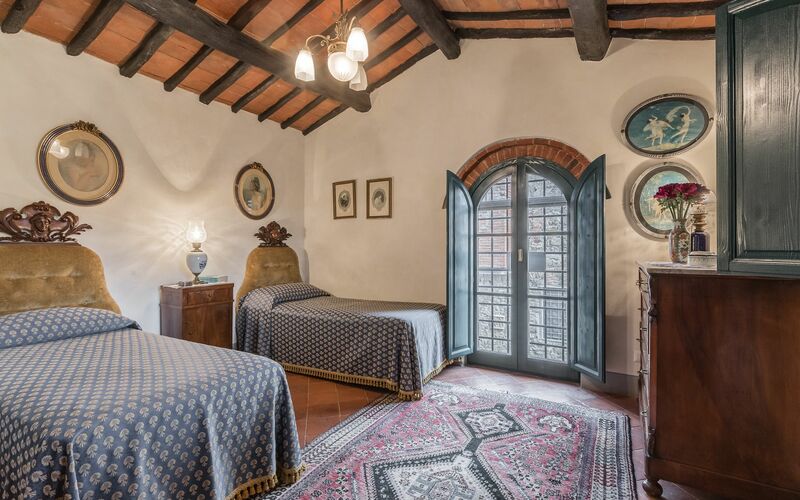 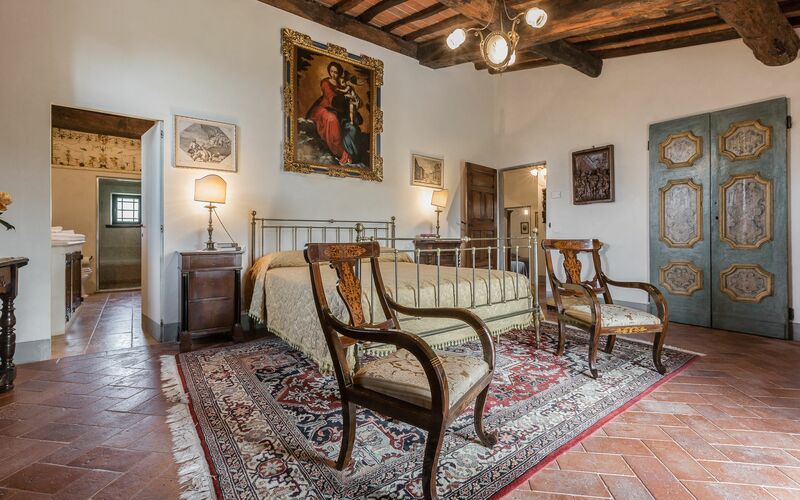 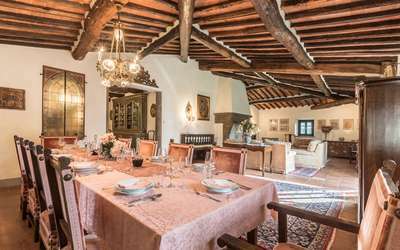 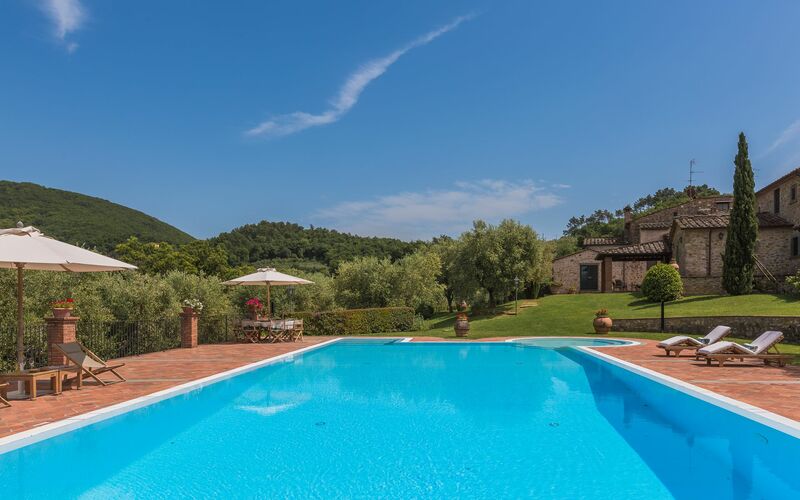 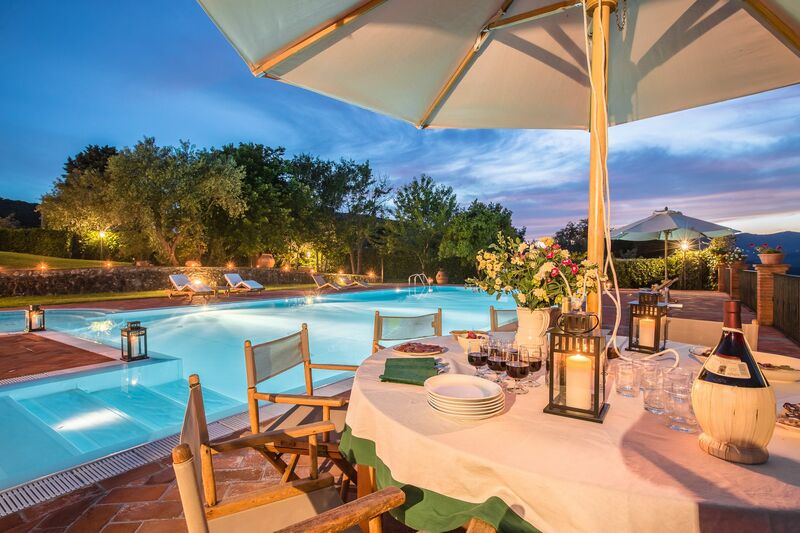 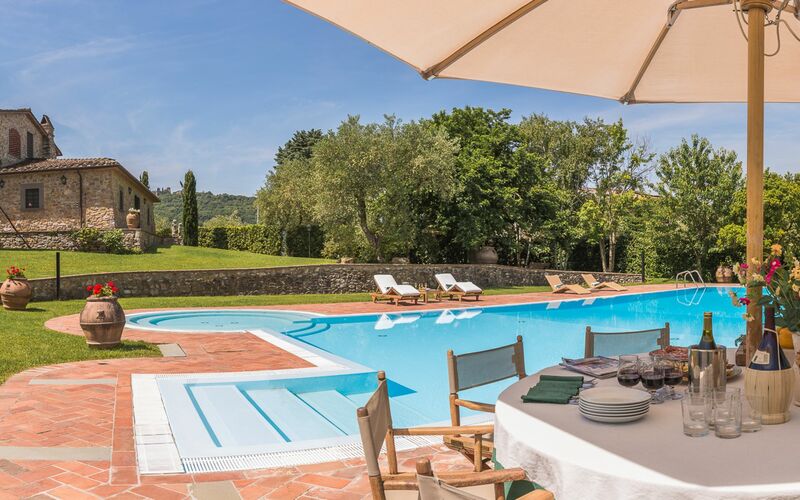 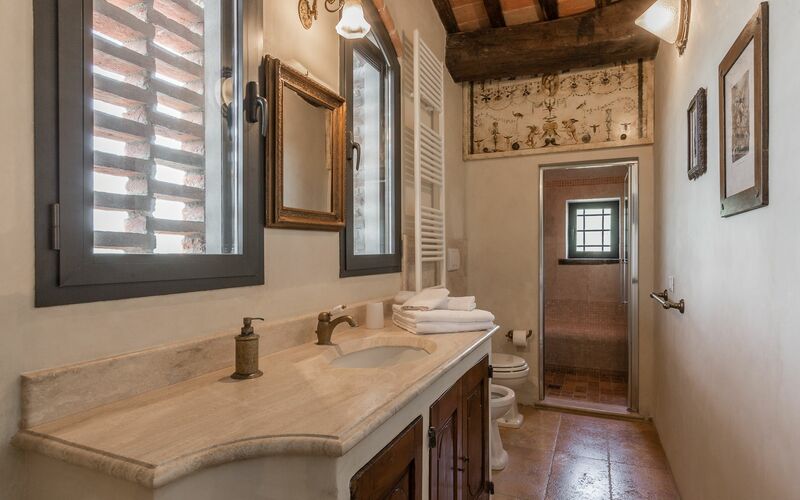 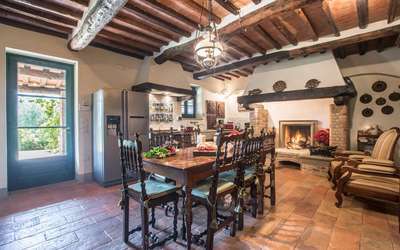 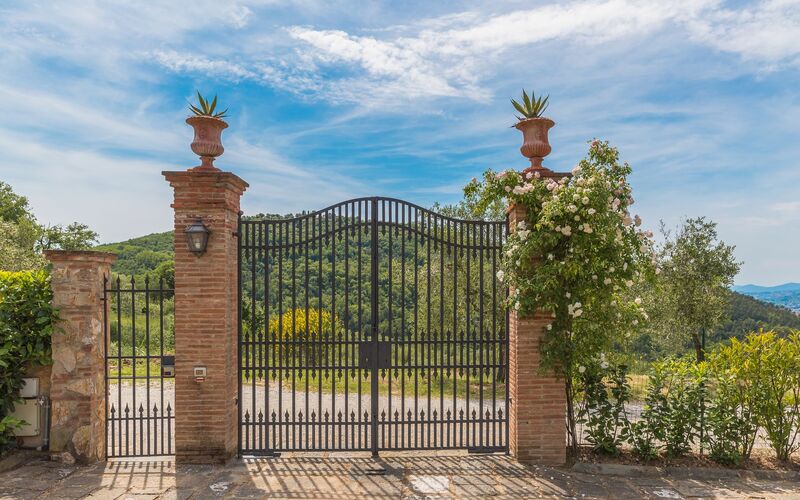 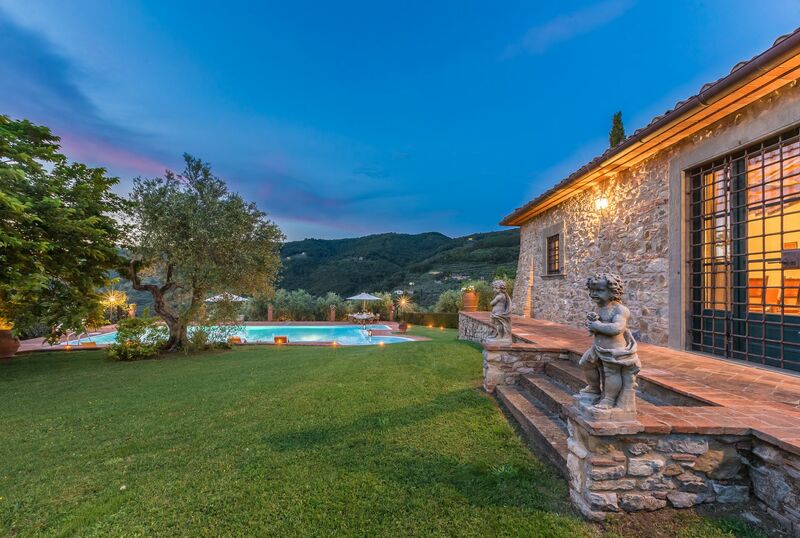 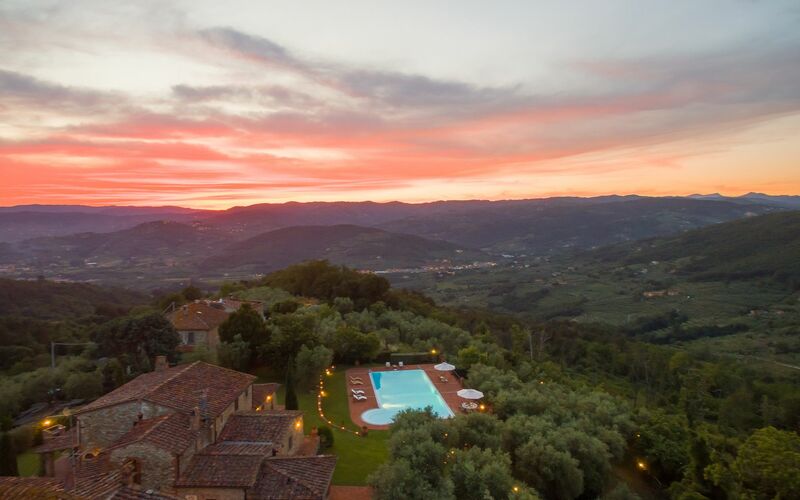 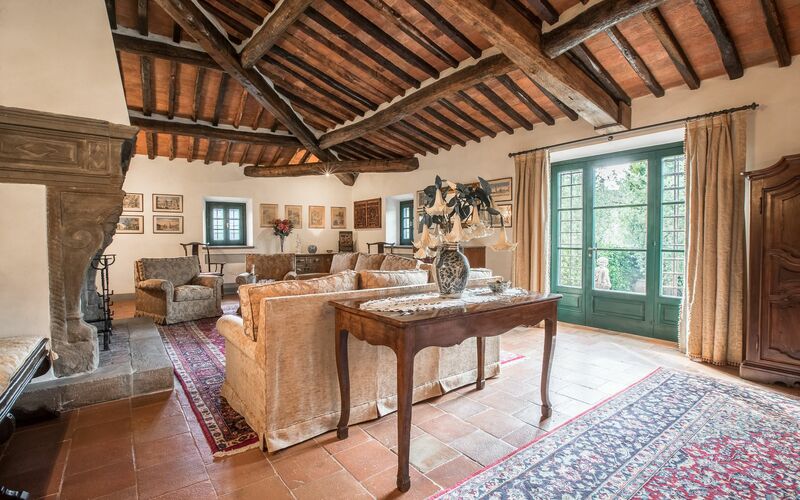 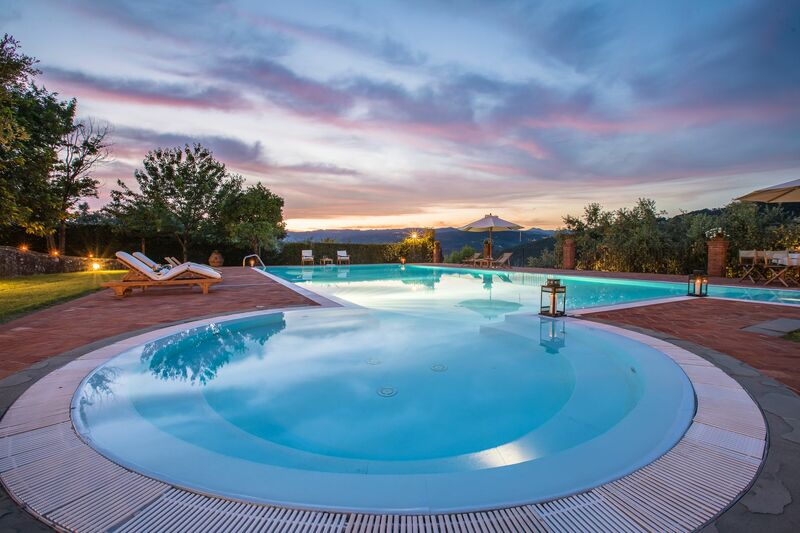 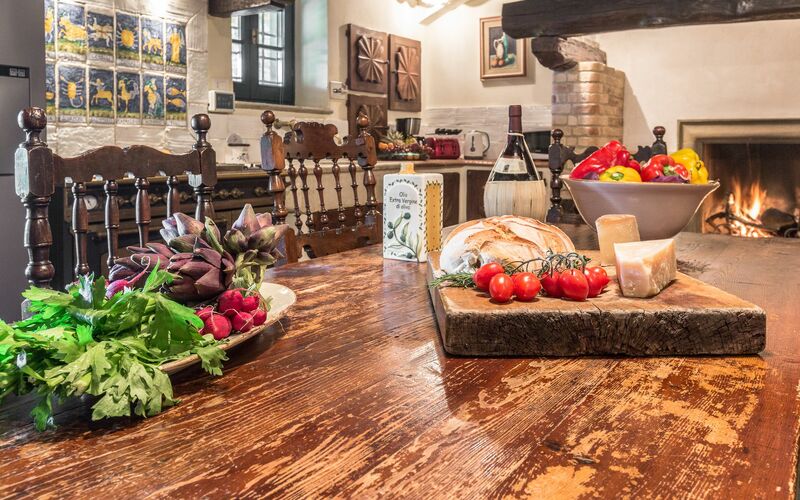 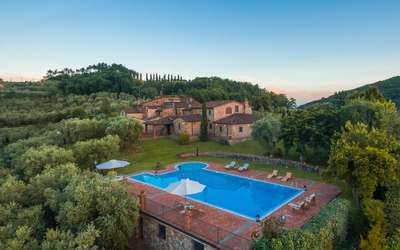 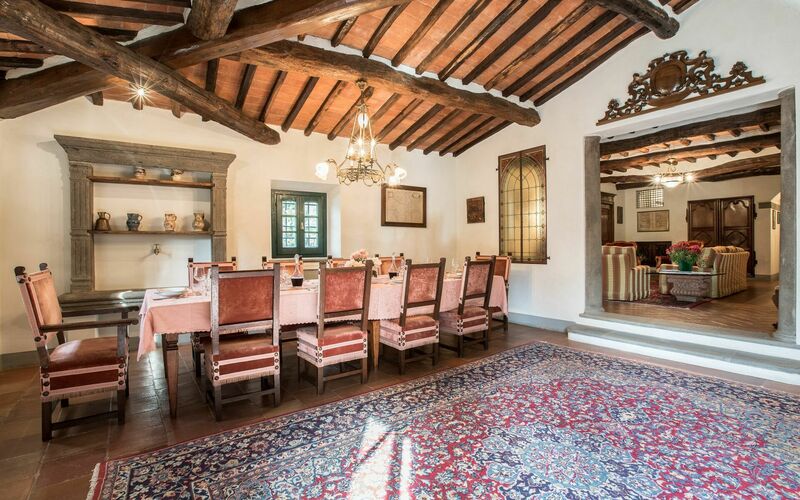 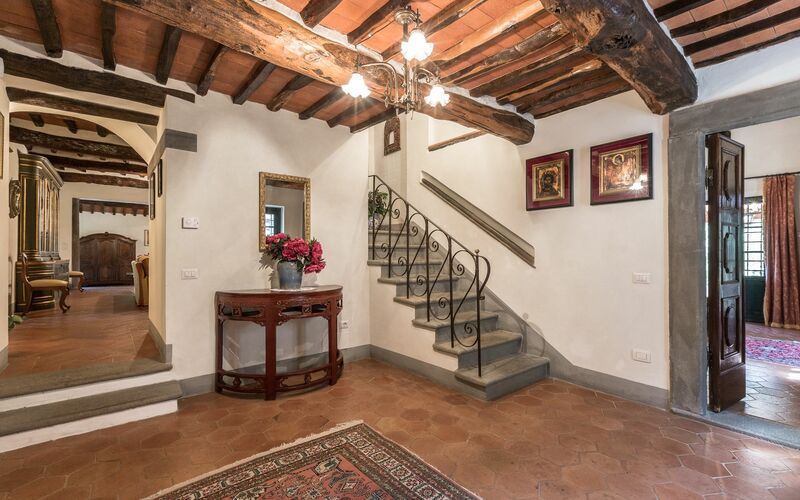 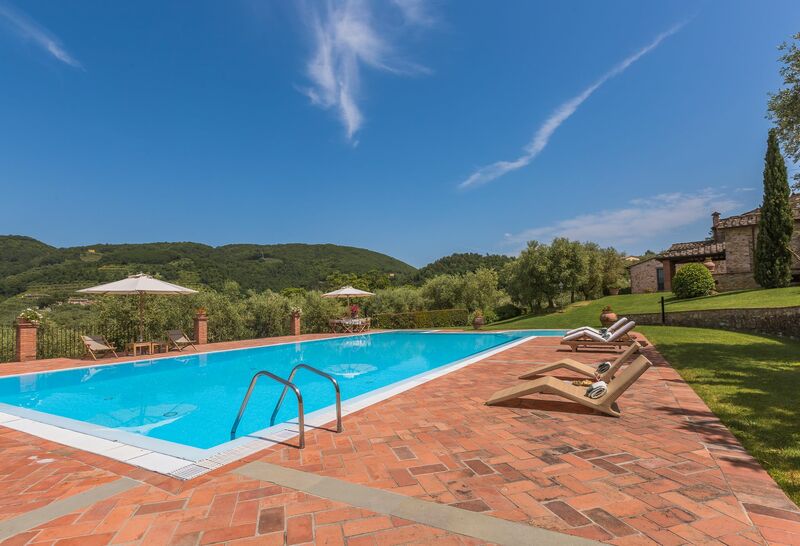 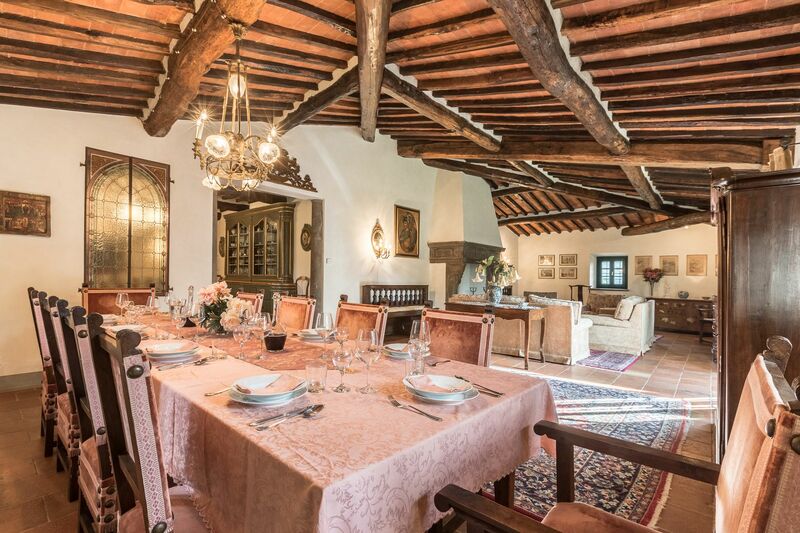 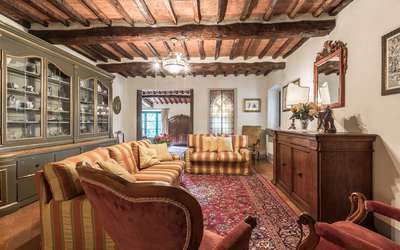 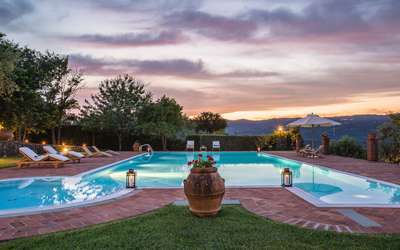 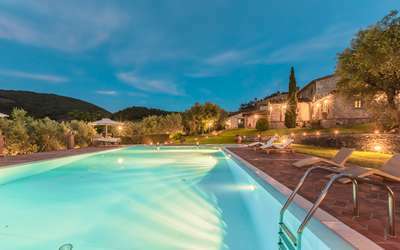 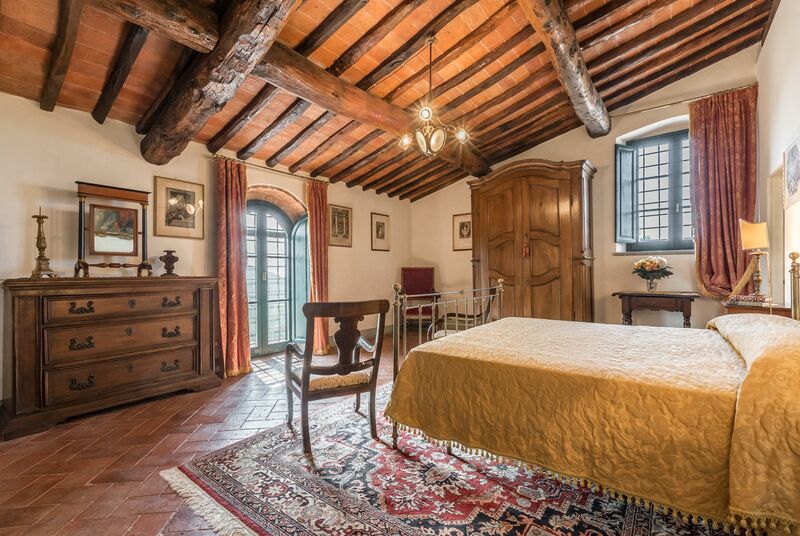 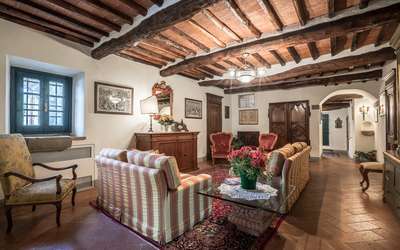 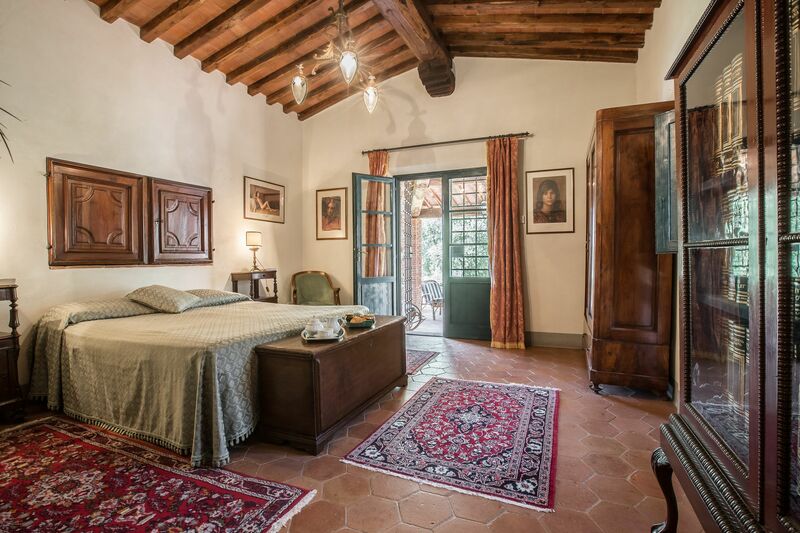 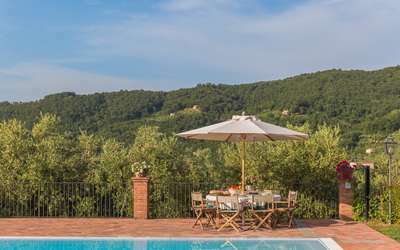 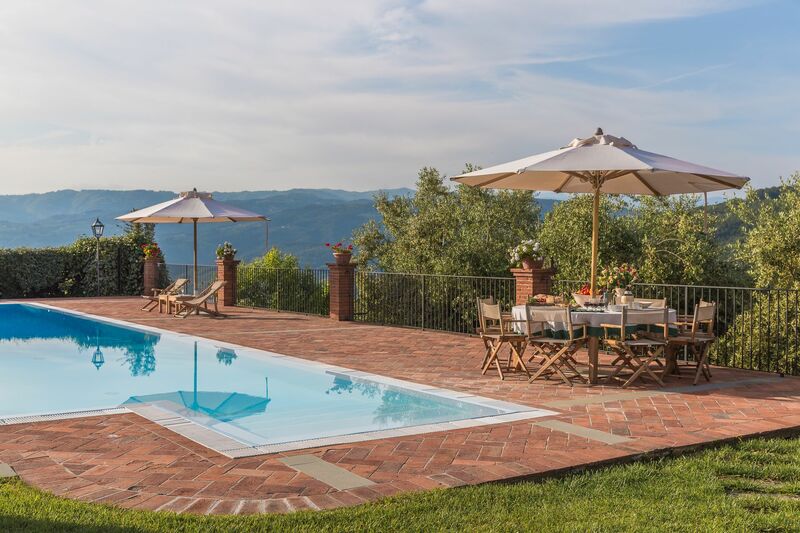 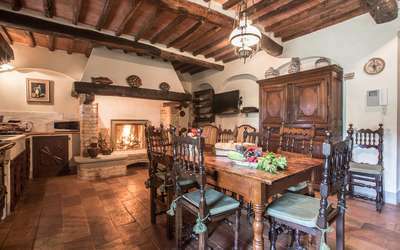 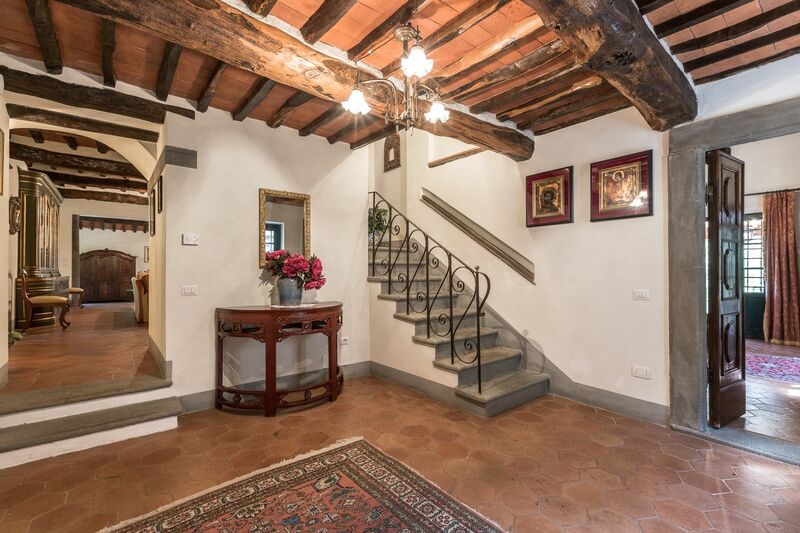 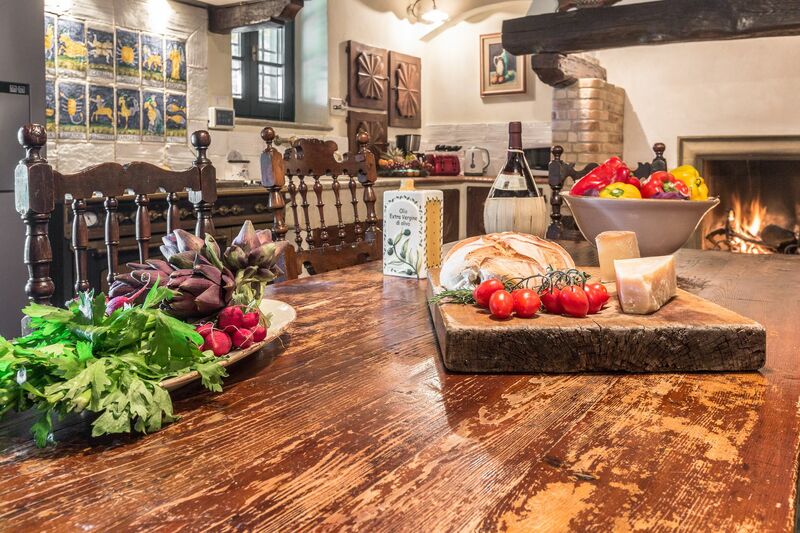 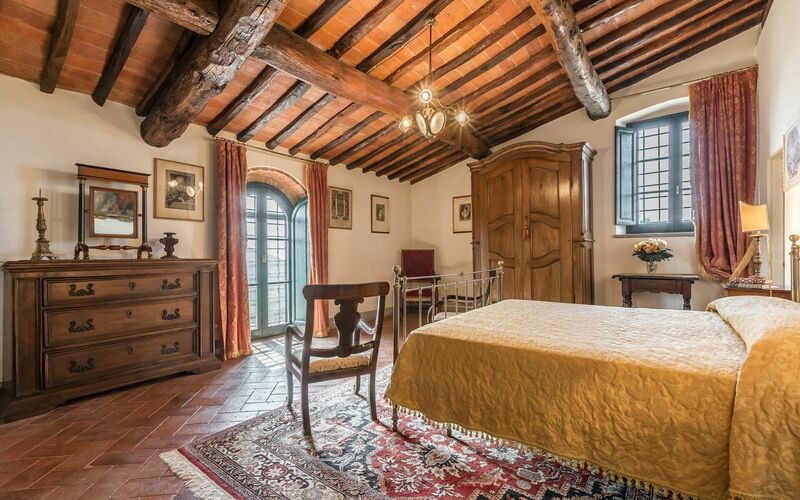 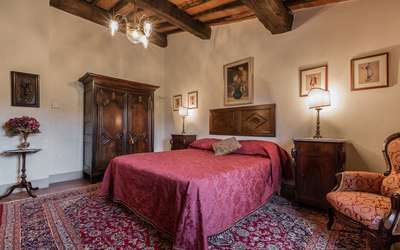 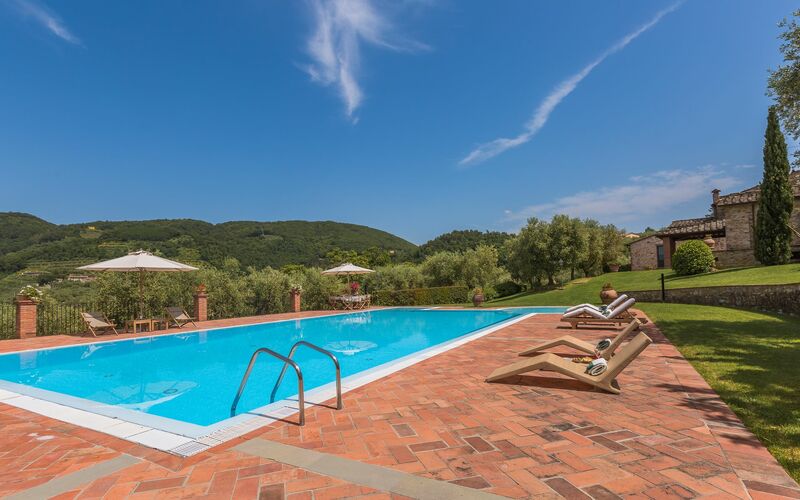 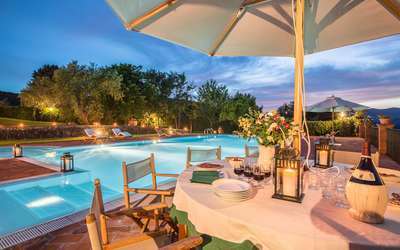 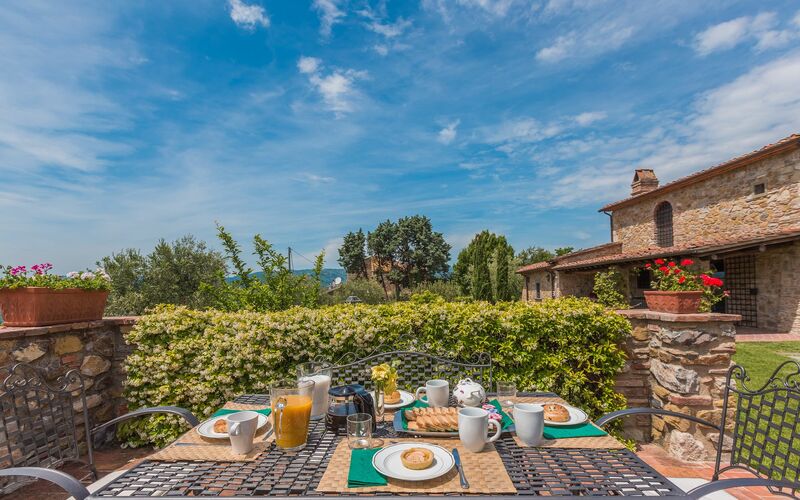 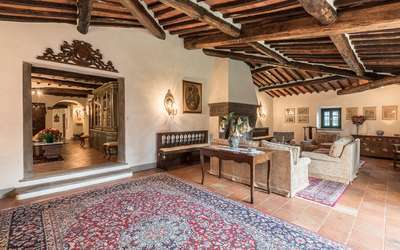 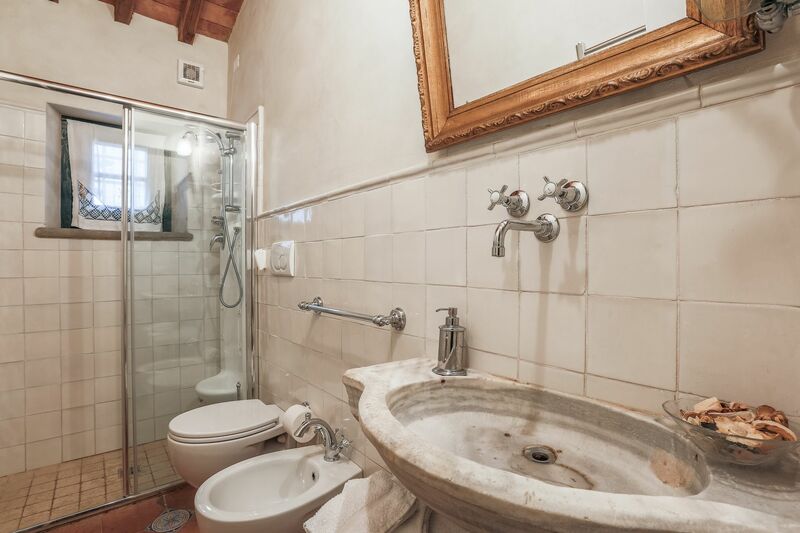 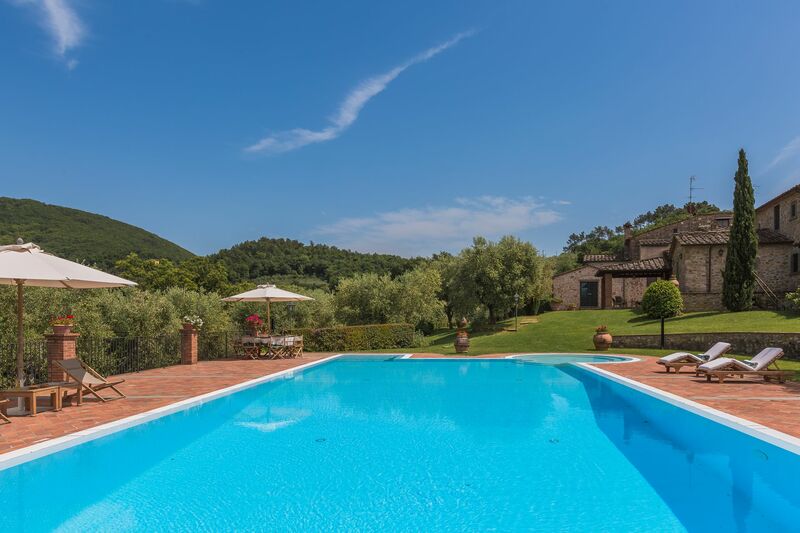 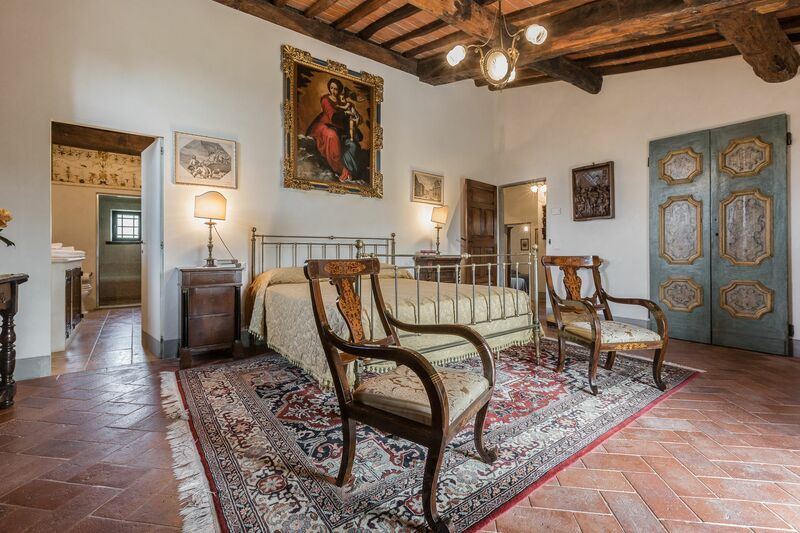 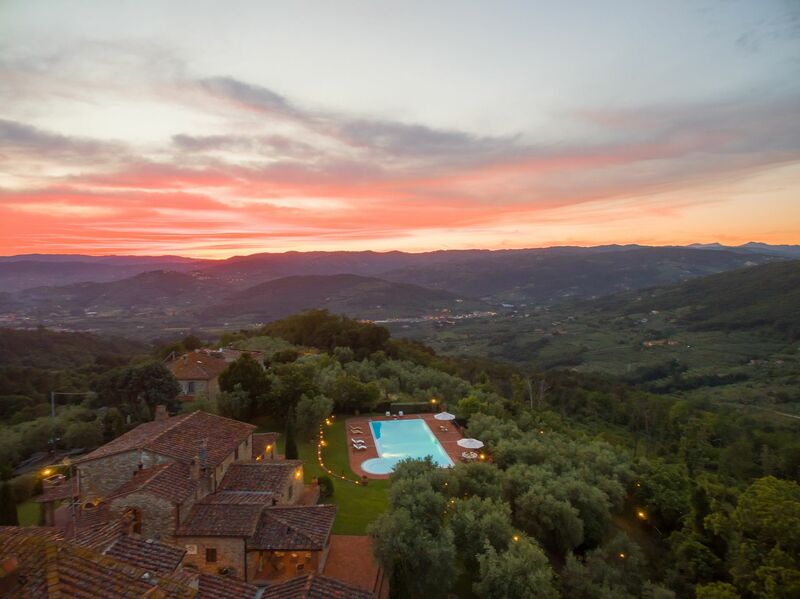 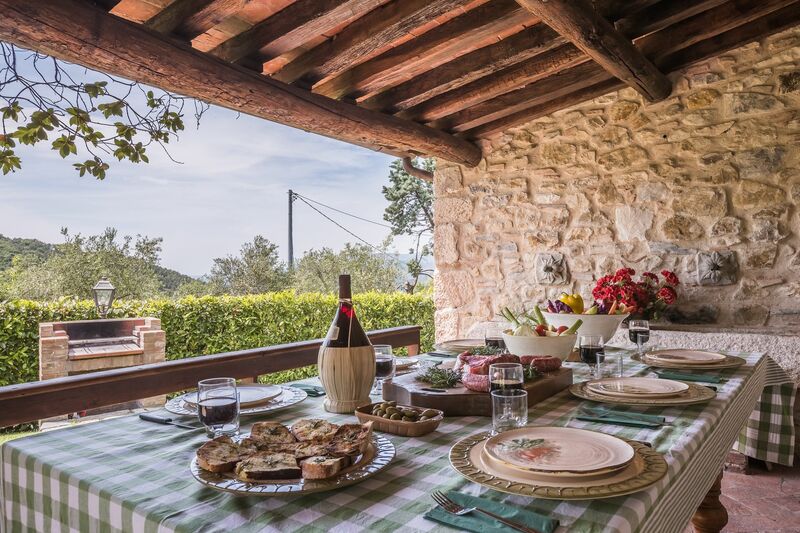 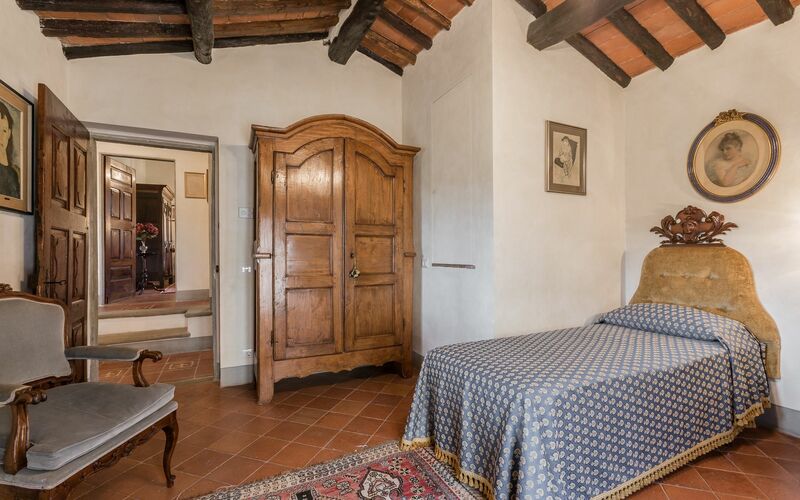 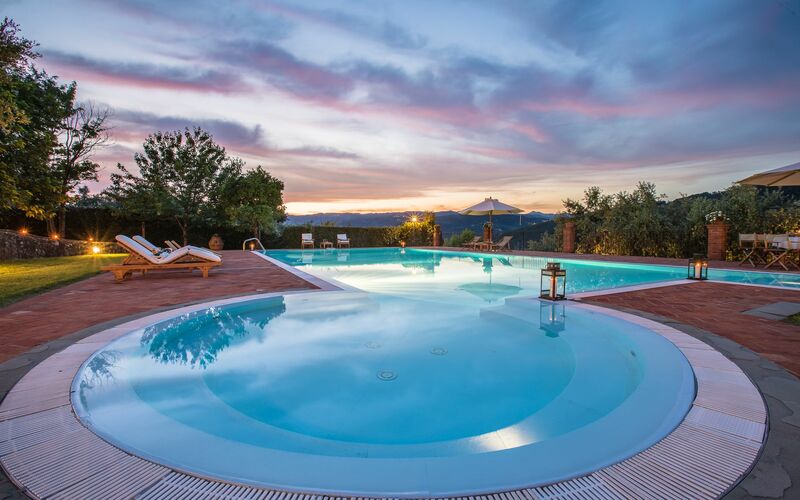 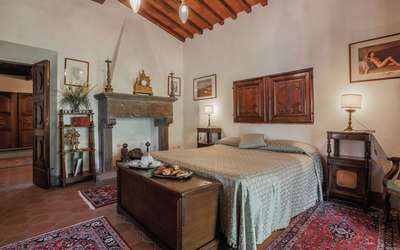 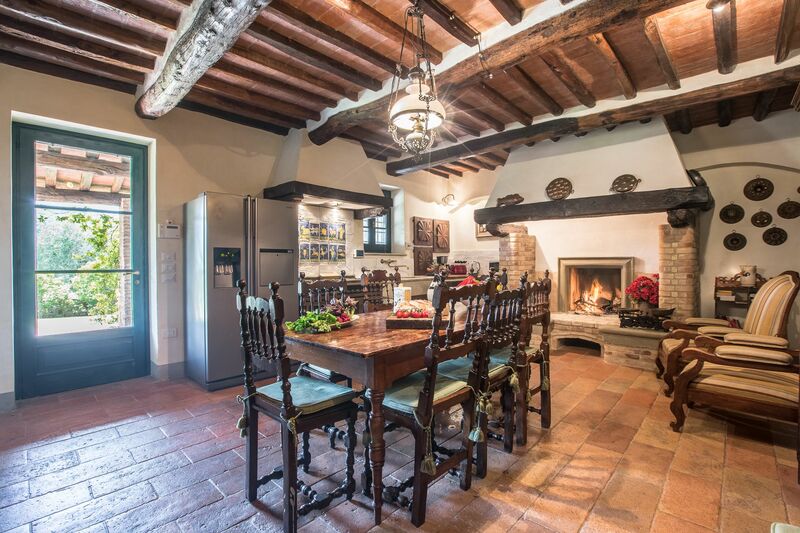 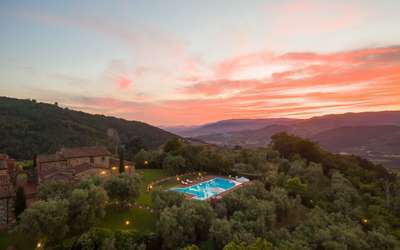 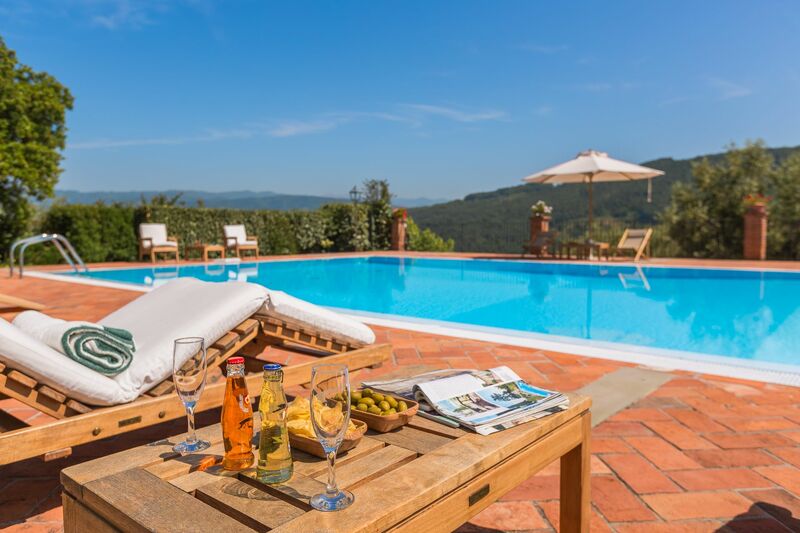 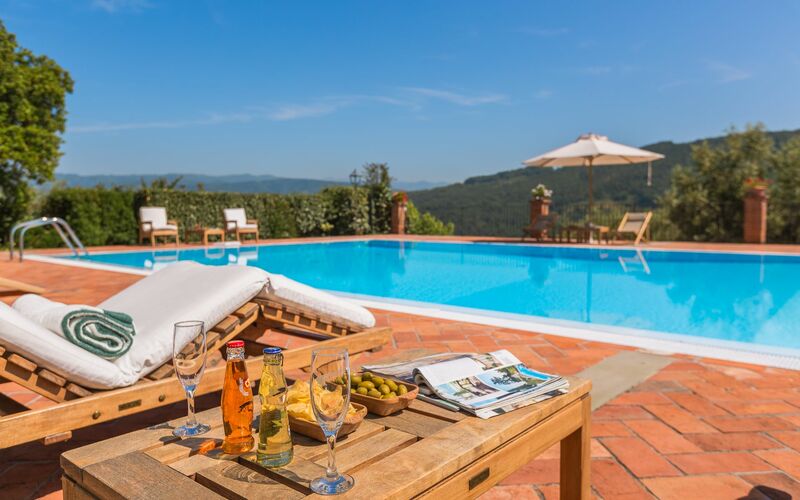 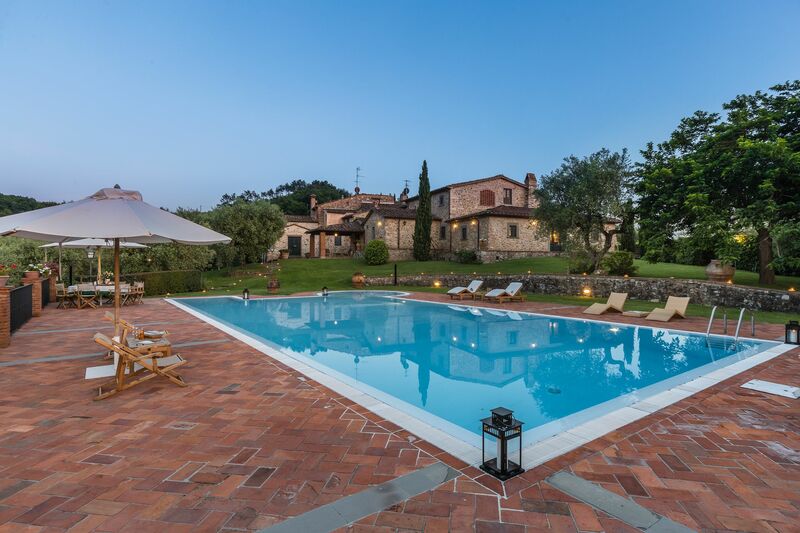 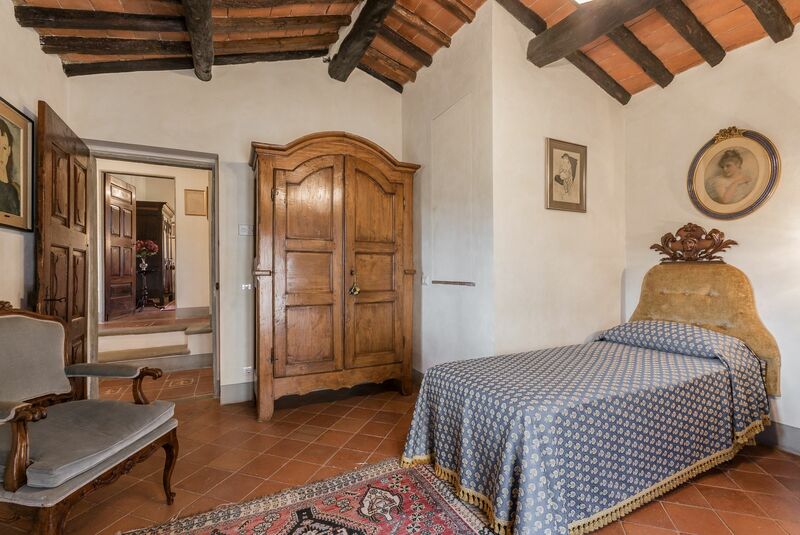 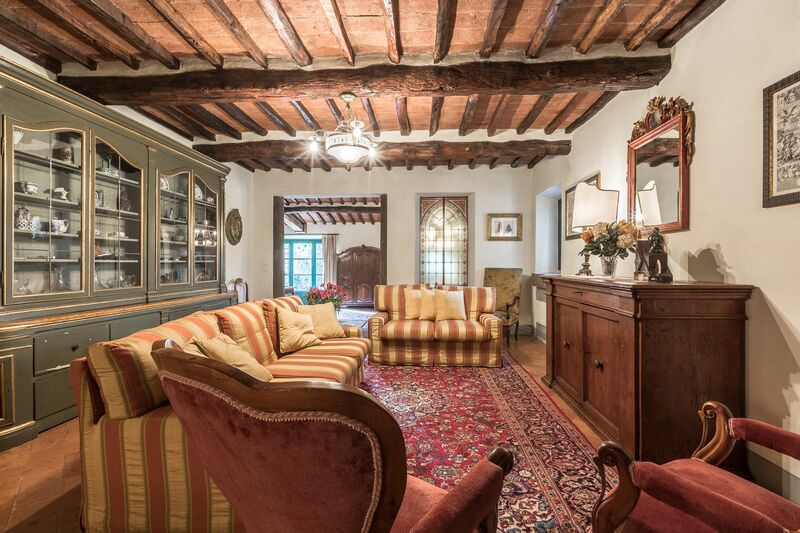 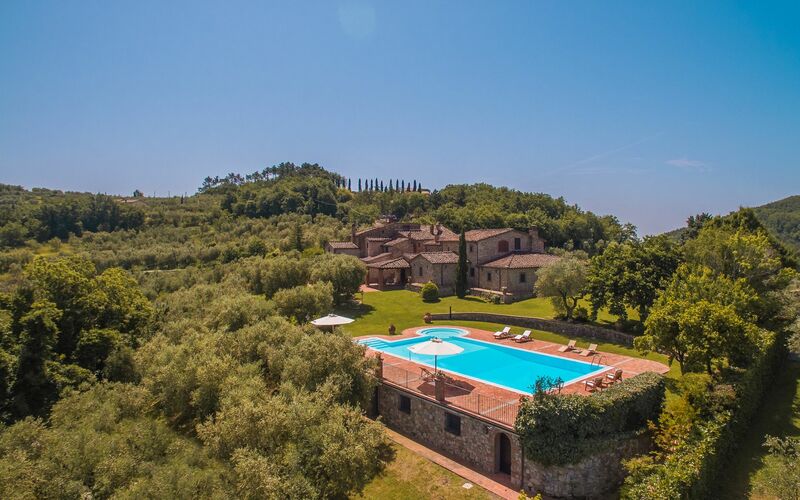 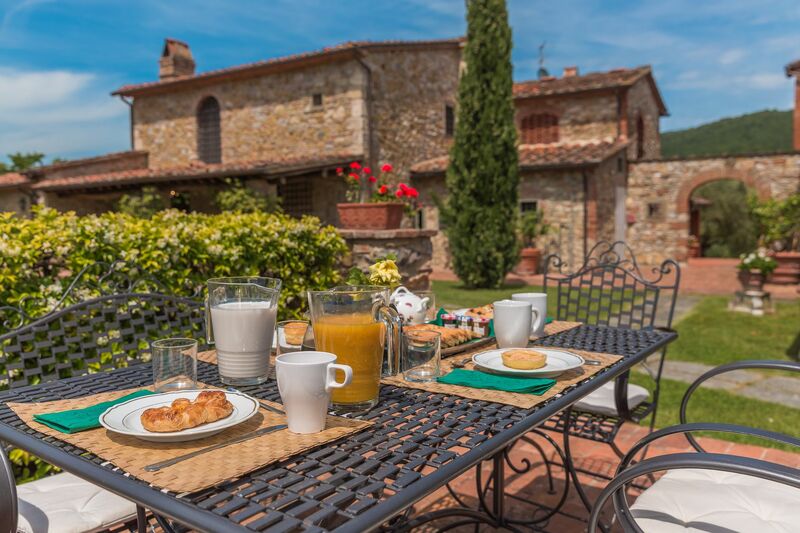 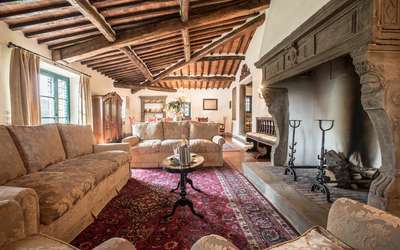 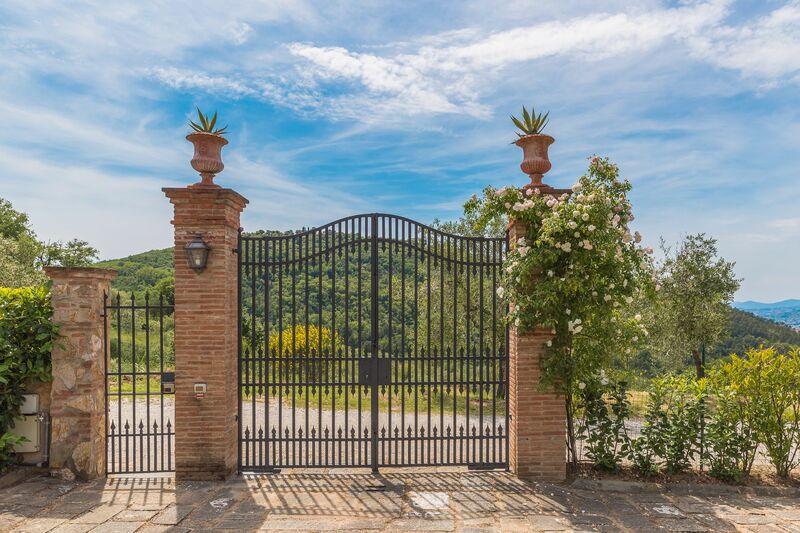 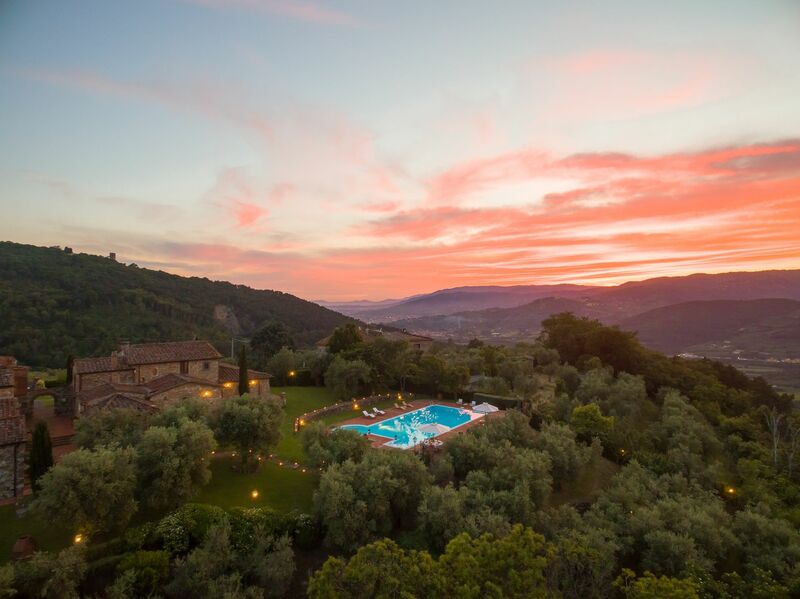 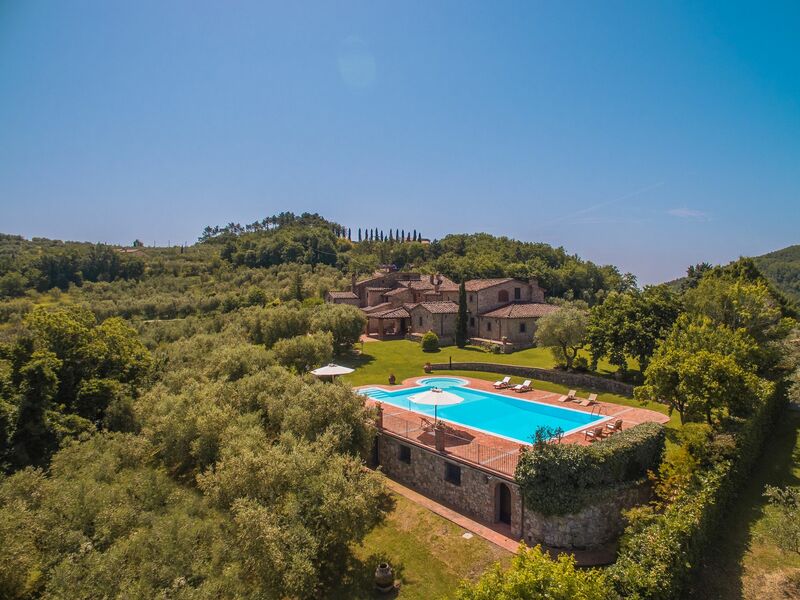 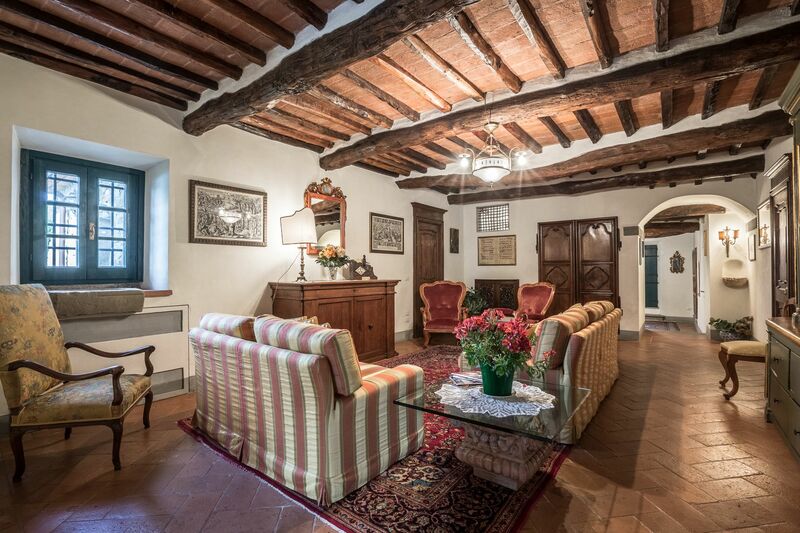 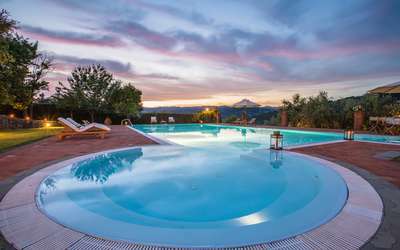 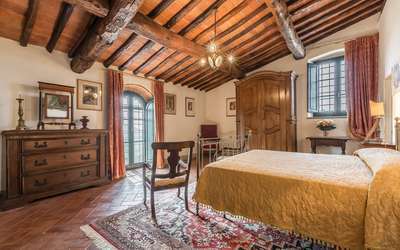 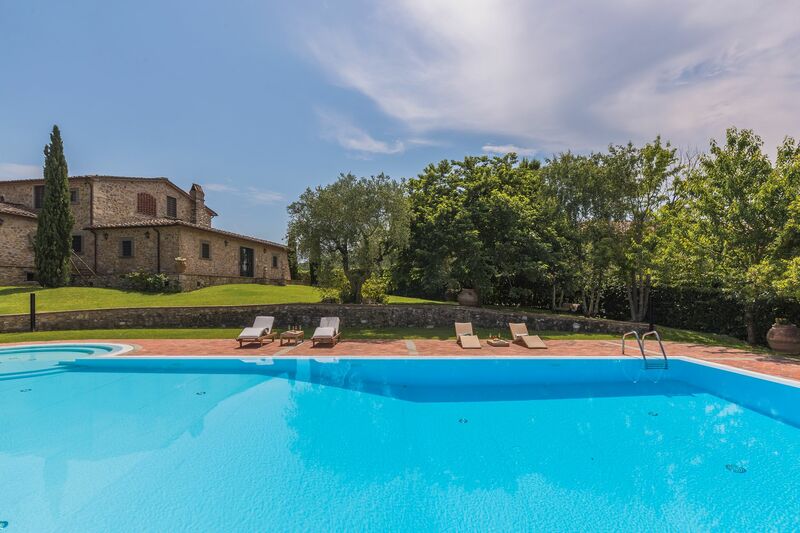 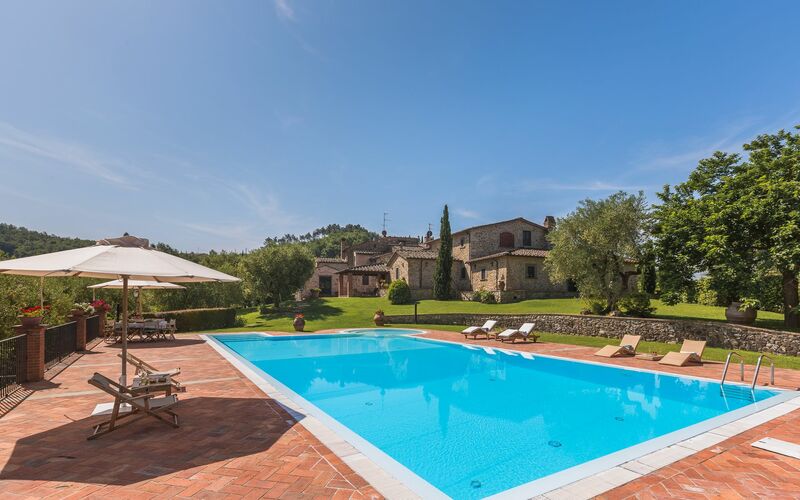 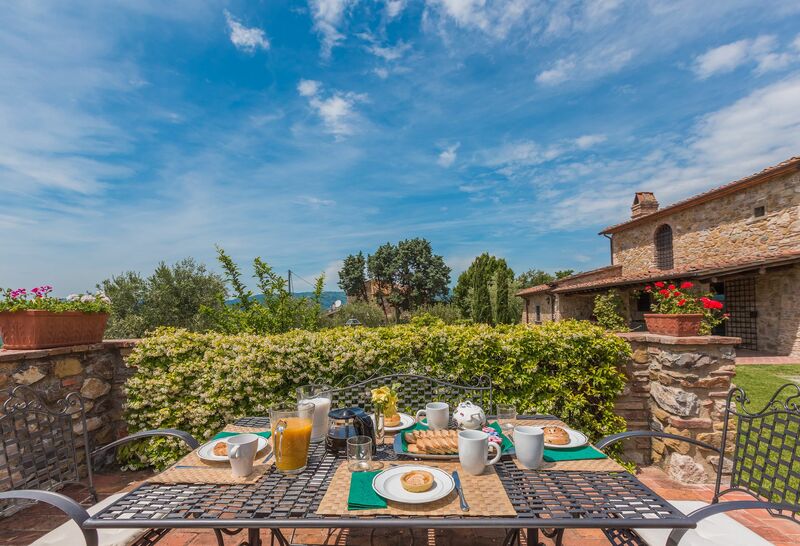 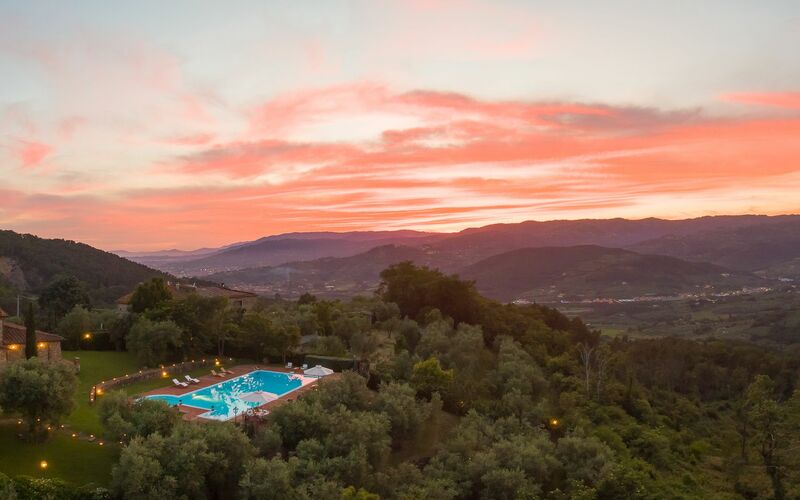 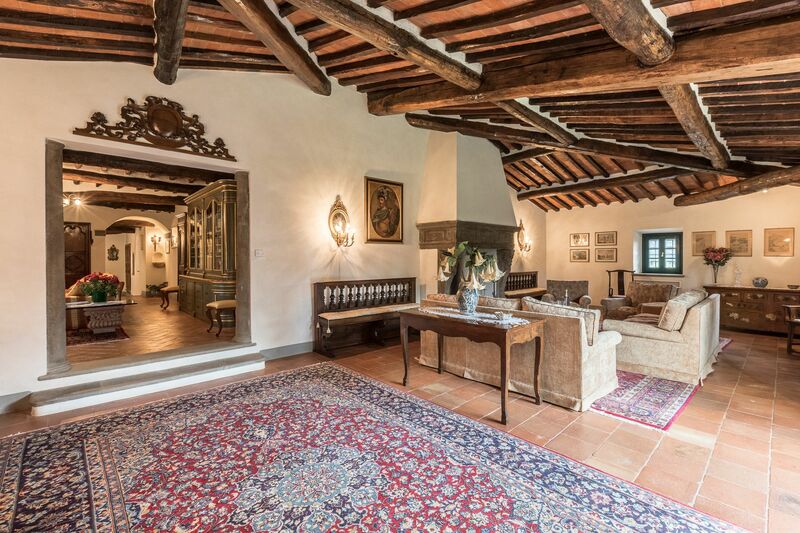 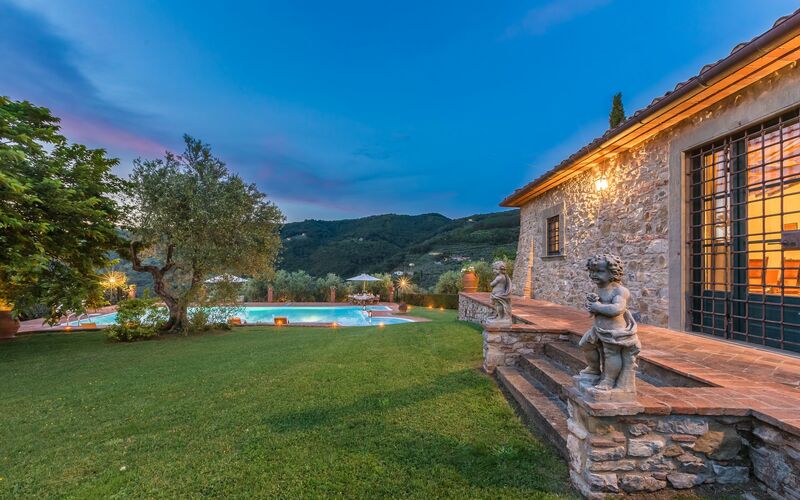 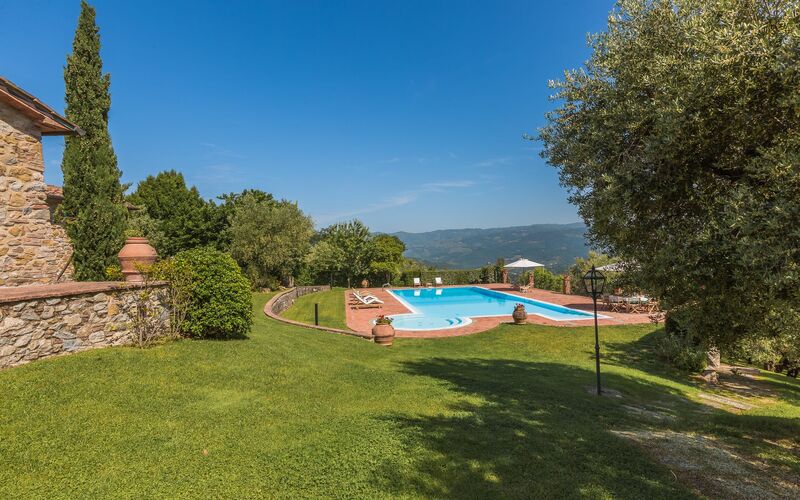 The holiday villa is located about 5km from Montecatini, in the hills, surrounded by chestnuts and olive trees. 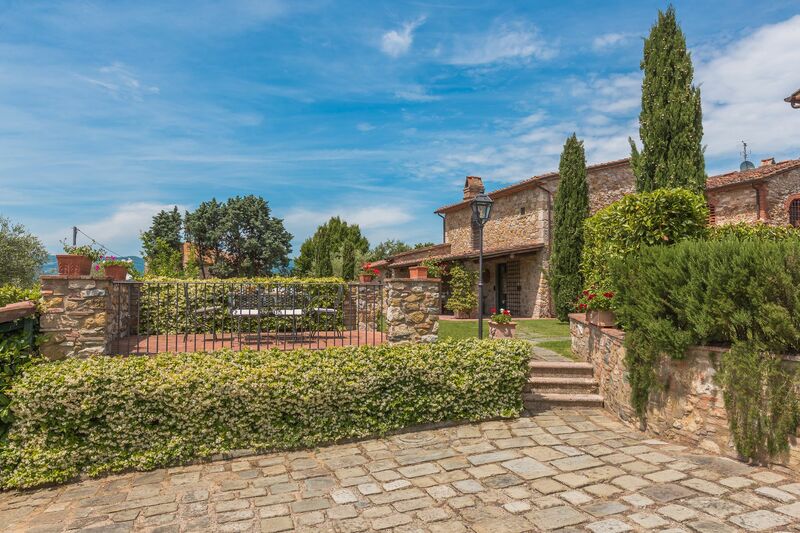 An asphalt road leads to the house. On a plot of several hectares of land are 2 villas are located (both are rented to foreign tourist) and behind a smaller rustic house. Right at the beginning of the garden is a corner with table and chairs in front of the house then a really cozy (covered) veranda with table, banks and chairs where you can dine and relax even if the weather is bad. 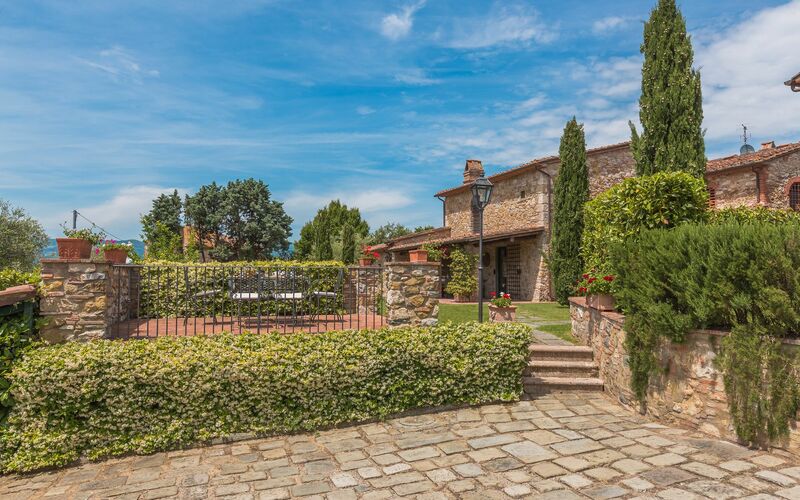 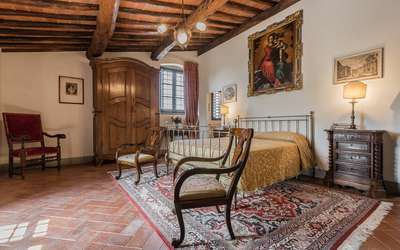 The house facade is typically Tuscan in stone and corresponds to the style of this area, as it was held 200 years ago. 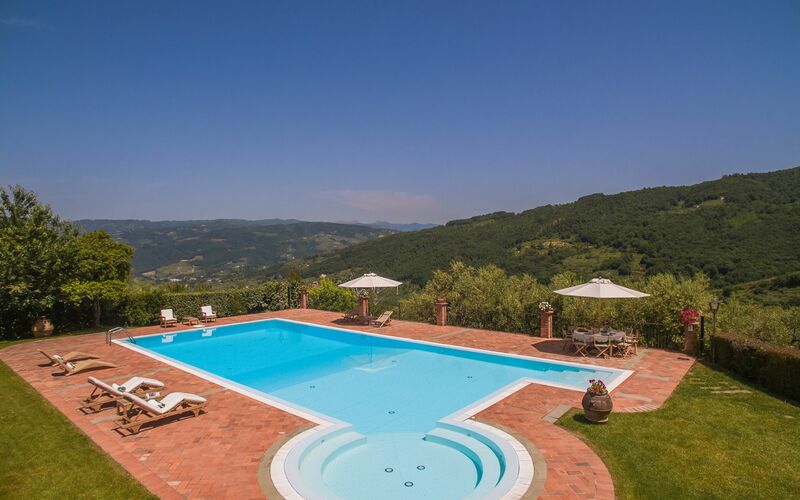 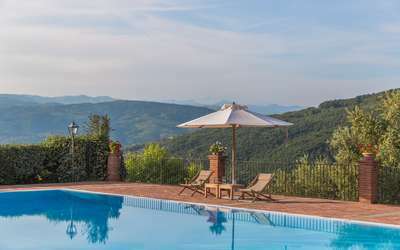 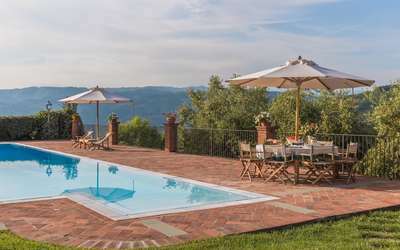 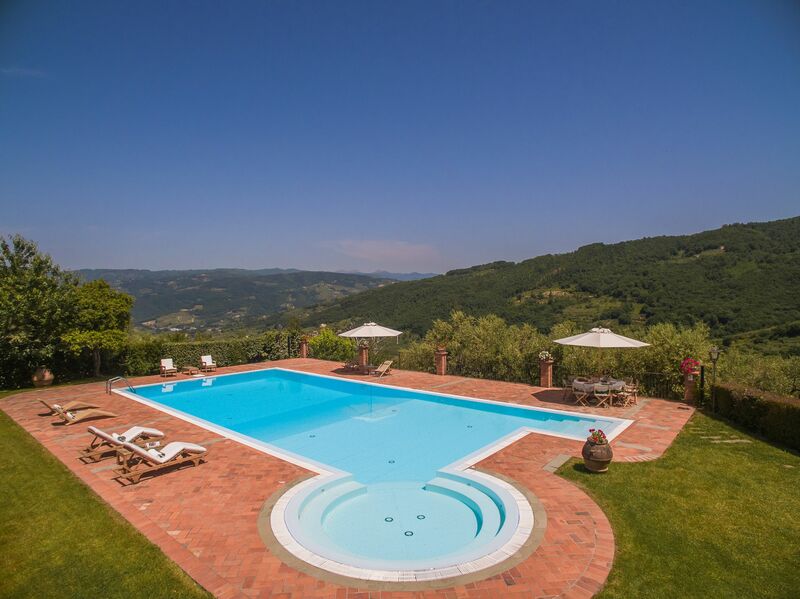 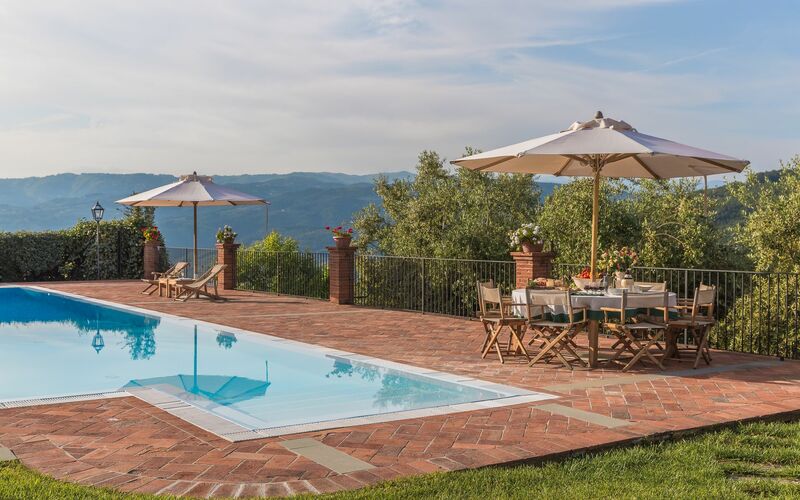 The Pool ( 16 x 8m) with panorama to Montactini valley. 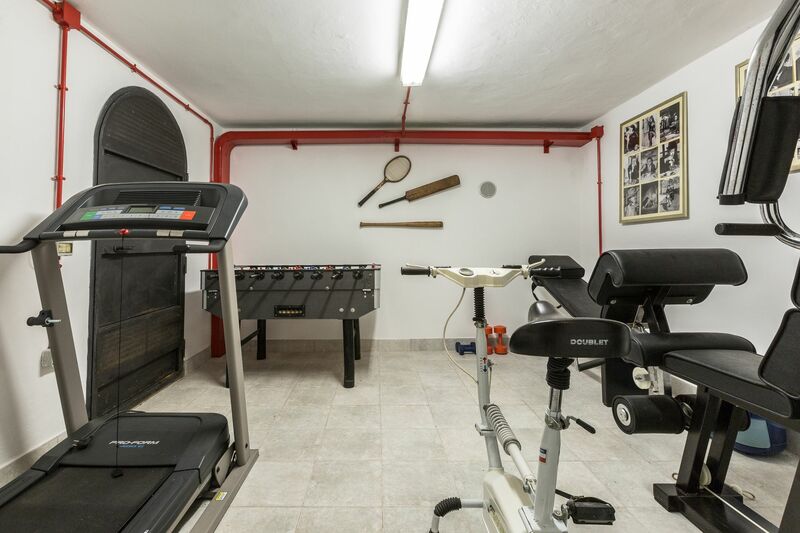 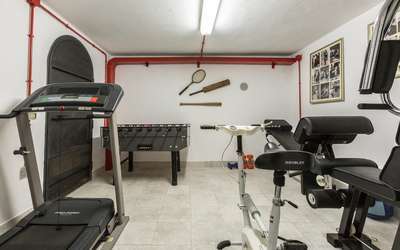 Fitness room, shower and WC upstairs. From the veranda is entrance to the large kitchen - big fireplace, table and chairs. 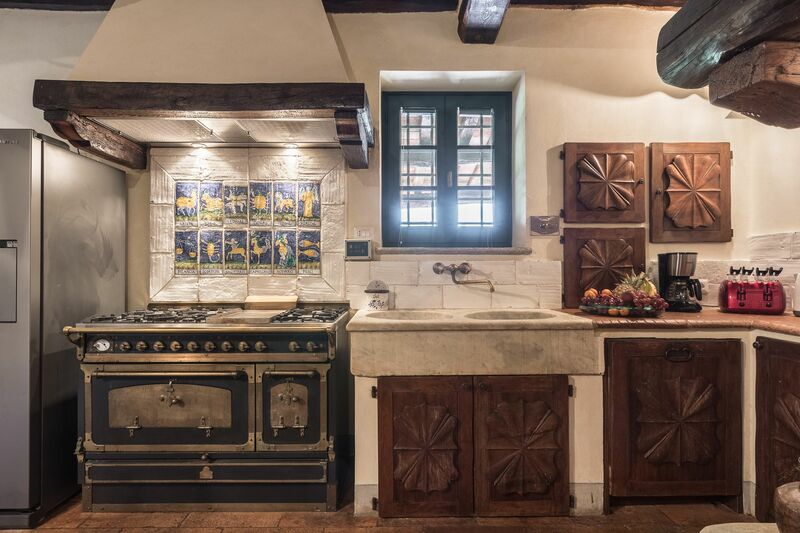 6 burner stove, refrigerator with freezer. 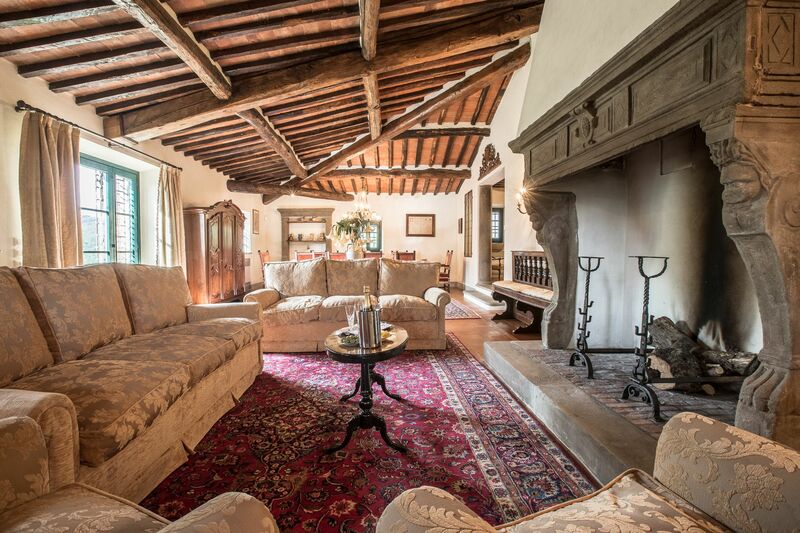 Huge lounge and dining room with XXL fireplace, armchairs and sofas, dining table and again many antiques. Double bedroom wardrobe and bedside tables. Veranda. 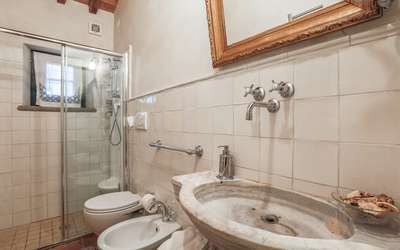 Laundry with washing machine and storage room. On the first floor there are 3 bedrooms and 2 bathrooms (Jacuzzi ). 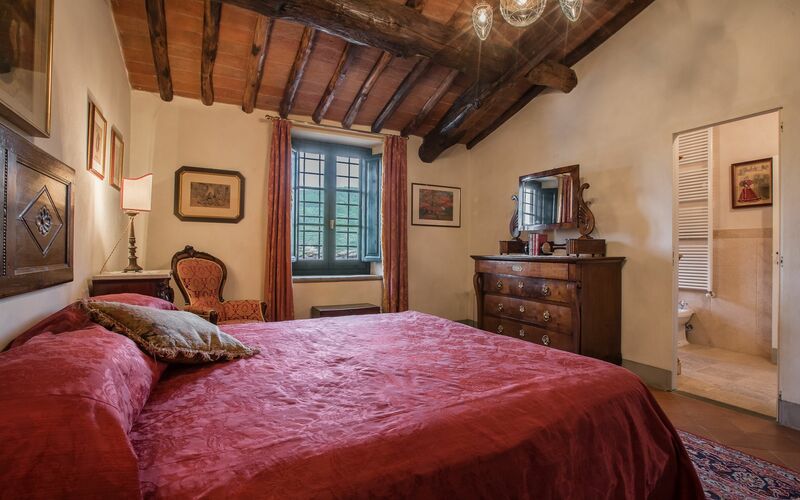 Two have a double bed, the 3th one 2 beds, dressers and closets. The weekly tarif includes 300 kw for electricity.